Government officials throughout the United States continue to make it harder for the companies distributing designer drugs such as Spice, synthetic marijuana. The task at hand is very difficult due to the drug manufacturers continually changing the ingredients. The Florida House Judiciary Committee passed a bill last week that would add 27 more substances to the list of controlled substances banned in the state. The bill will help to inhibit manufactures in making their products. Anyone who sells, manufactures, or possesses the substances with intent to sell, can be charged with a third-degree felony. 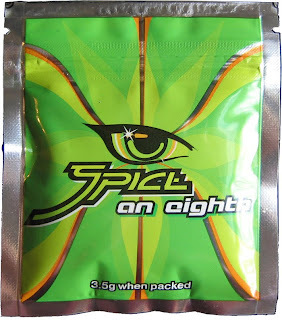 “This legislation is critical in addressing Florida’s synthetic drug problem, especially among the 12-29 year old age group who make up 75 percent of synthetic drug-related emergency room visits,” Attorney General Pam Bondi said in a press release. Last March, Florida outlawed 142 chemicals used in designer drugs; then in December Bondi outlawed an additional 22 substances. The new substances outlawed are a number of different forms of bath salts and/or synthetic marijuana.